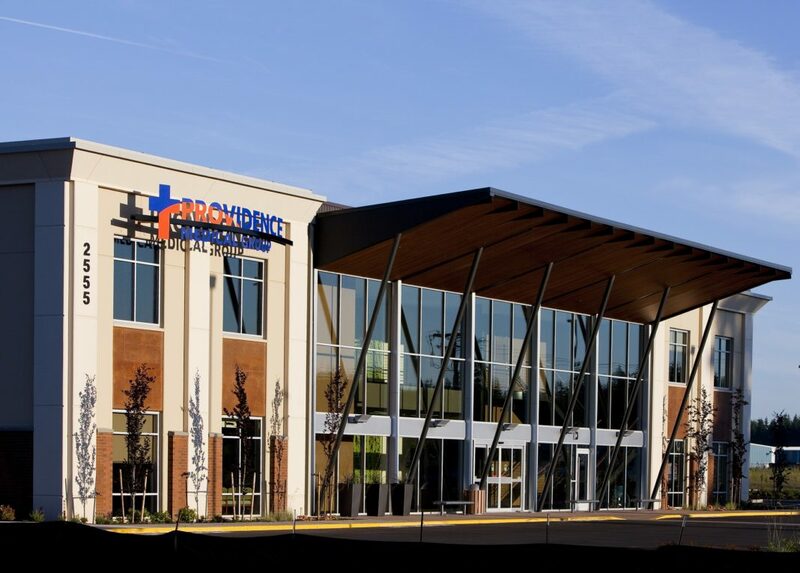 Providence St. Peter's Hospital: The Providence Medical Group building at Britton Plaza in Hawks Prairie. 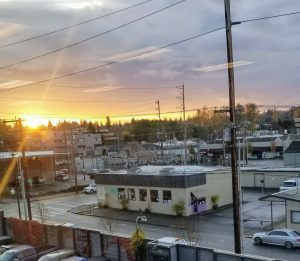 Creating healthier communities is one of the focuses of Providence. 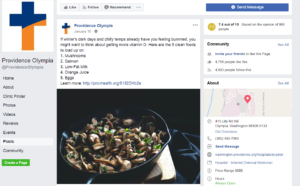 In Thurston County, one of the ways Providence is trying to do that is through social media, specifically connecting to the community through its Facebook page. “We only post a few times a week, because we don’t want to be a frustration — we do want to be your community health partner,” Maki added. 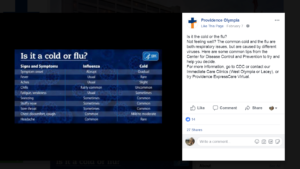 So give the Providence Olympia Facebook page today and get information you need to help keep you and you family healthy.